Mark Davidson, a native of Dallas, Texas, began playing the trombone at age 11. He began his studies under the guidance of James Wallace before attending the University of North Texas, where he received his Bachelor’s of Music Education in 2006. During his undergraduate studies, Mark was a student of Jan Kagarice and Tony Baker. After graduation, he went on to attend The Juilliard School and studied with Joseph Alessi, Principal Trombone of the New York Philharmonic. During this time, Mark also attended the Pacific Music Festival in Sapporo, Japan and was the winner of the International Trombone Association’s Lewis Van Haney Tenor Trombone Competition. In 2007, Mark was appointed Assistant Principal/Second Trombone of the San Antonio Symphony. In 2009, Mark was the Acting Second Trombonist of the Cincinnati Symphony and for the 2010 season, he was the Acting Principal Trombonist of the Baltimore Symphony Orchestra. In 2011, he returned to the San Antonio Symphony and also performed as a member of the San Antonio Brass Quintet. 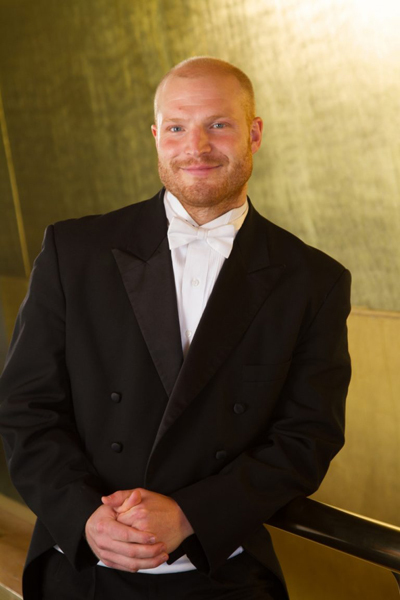 Most recently he joined the Utah Symphony Orchestra in the fall of 2013 as Associate Principal/2nd Trombone. Mark has also performed with several other orchestras including the Houston Symphony, Kansas City Symphony, Naples Philharmonic, Cincinnati Chamber Orchestra, New World Symphony, and the San Antonio Opera. In addition, he has been on the faculty of the Baltimore Symphony Orchestra Academy and has presented master classes and recitals at schools such as the Peabody Institute of Music, Shepherd School of Music, and the University of Utah.